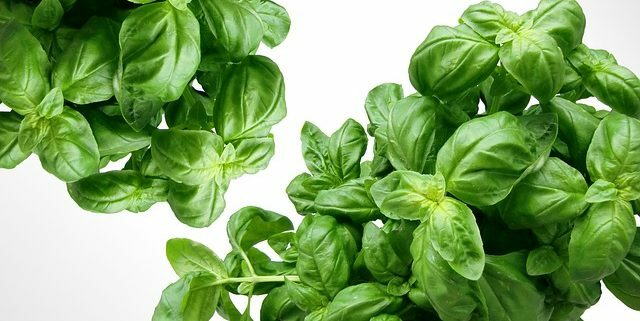 Although most of us probably best know this herb as a flavor-booster for foods with an Italian flare, basil was once considered among the earth’s most noble and sacred plants. The basil plant is believed to have originated in Asia, but its use in European culture dates back to Ancient Greece. (The Greeks called the herb “basilkohn” which means “royal.”) In Roman times, basil was a symbol of love. Modern science has traced basil’s flavonoids, illuminating to us the source of the herb’s anti-inflammatory properties. In recent studies, its oil has shown promise in inhibiting antibiotic-resistant bacteria. Although it might come as a surprise to most pesto lovers, basil’s leaves contain a variety of libido-lifting nutrients. 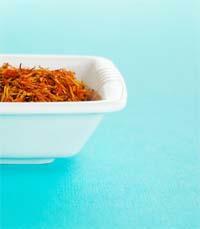 It is considered a good source of Vitamin A. It also provides beta carotene, magnesium, potassium and C.
There are over 50 varieties of basil grown around the world. Their shapes vary from long-leafed with pointy tips to broad with blunt edges. In flavor, varieties vary from subtle and anise-like to faintly spicy to a tinge of lemon. 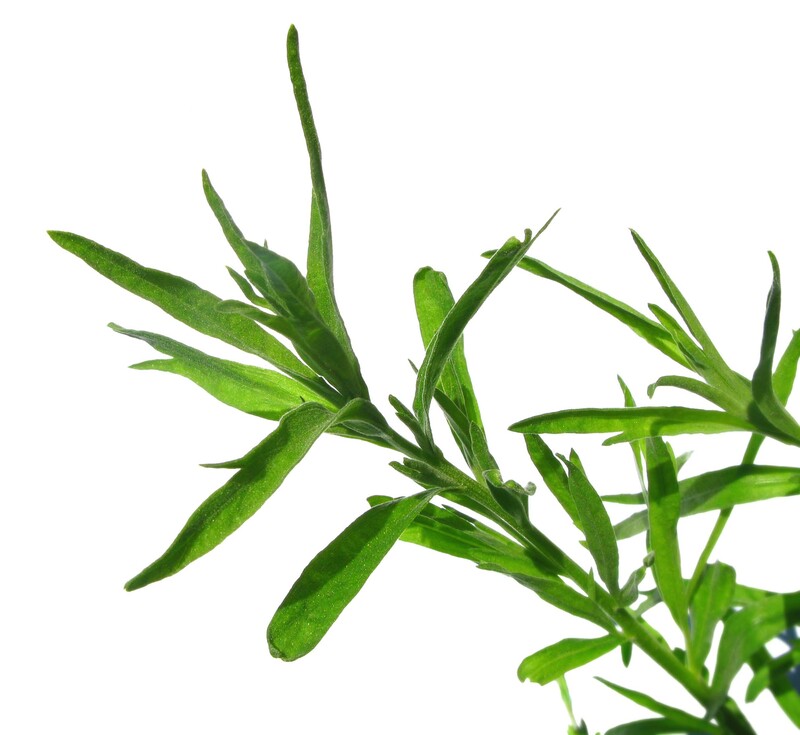 The herb is sold both fresh and dried. Fresh basil lasts well on the counter in a cup, the stems in a splash of water or in the refrigerator wrapped in damp paper towels. To make the flavor of fresh basil last, fill ice cube trays with the minced herb and cover with water or stock and use later for flavoring soups and sauces.